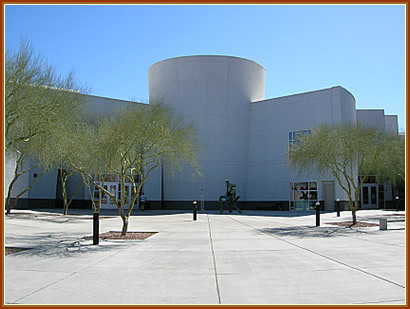 For nearly 60 years, the Las Vegas Art Museum (LVAM) has remained dedicated to bringing fine art to Las Vegas. And despite several relocations before finding its current home in the Sahara West Library/Fine Art Museum in 1997, Nevada’s first fine art museum has certainly succeeded. The mission of the LVAM is to engage visitors in the international culture of contemporary art, and to that end, the museum presents exhibitions that meet international excellence standards and provides various lectures, programs and publications. Past exhibitions at the LVAM included both international and community-based shows, with displays by local Las Vegas artists and showcases of work by such artists as Dale Chihuly, Sam Francis and August Rodin. The museum covers almost 8,000 square feet of exhibition space and offers both adult and children’s education programs. All LVAM programs are designed to meet American Association of Museum standards of excellence, and focus on helping visitors become engaged in the contemporary art and design culture. The LVAM also provides a range of guided tours designed to educate visitors about current exhibitions. Each tour is led by a trained LVAM Docent Educator and takes less than an hour. Weekend tours, adult group tours, school and family tours can all be arranged.